1 Nichols’s Bowyer. 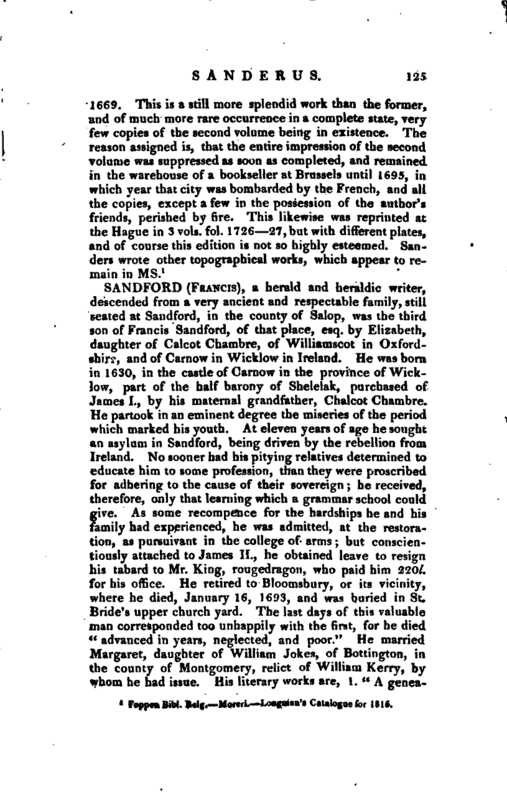 Rees’s Cyclopædia. | degree of doctor in that faculty. Being ordained priest, he officiated for several years in various churches in the diocese of Ghent, was remarkably zealous in the conversion of heretics, i. e. protestants, and particularly contended much with the anabaptists, who were numerous in that quarter. Having, however, rendered himself obnoxious to the Hollanders, by some services in which he was employed by the king of Spain, their resentment made him glad to enter into the service of cardinal Aiphonso de la Cueva, who was then in the Netherlands, and made him his almoner and secretary. 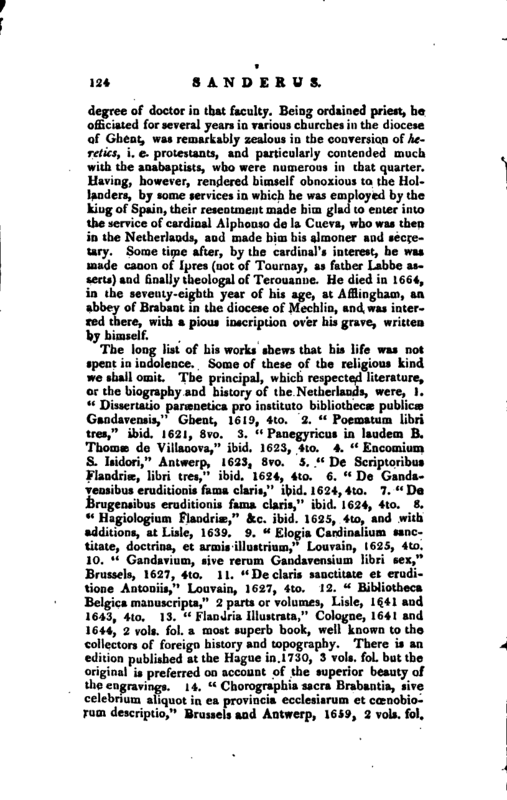 Some time after, by the cardinal’s interest, he was made canon of Ipres (not of Tournay, as father Labbe asserts) and finally theologal of Terouanne. He died in 1664, in the seventy-eighth year of his age, at Afflingham, an abbey of Brabant in the diocese of Mechlin, and was interred there, with a pious inscription over his grave, written by himself. Foppeu Bibl. Belg. —Moreri. 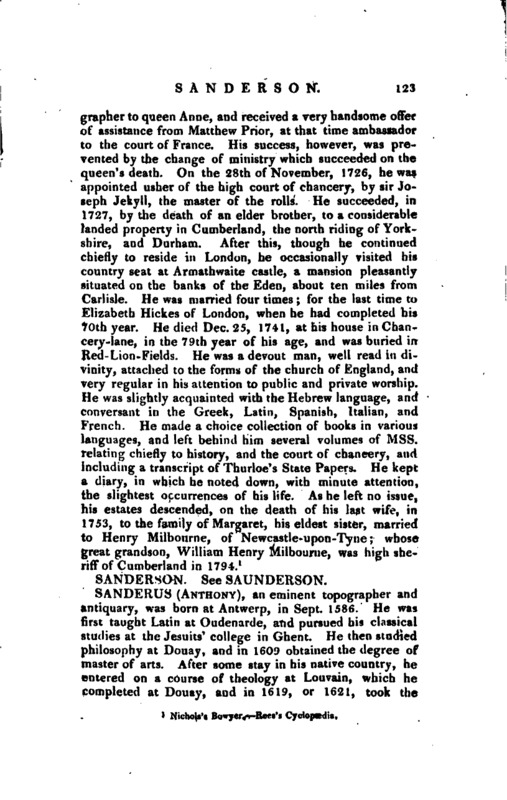 Longman’s Catalogue for 1816.